7:40 AM. House still quiet. Foggy sky, soft breeze, soft like the trickling creek I walked by yesterday afternoon. I thought this is it, the soft damp ground, the smell of decomposition. Total peace. 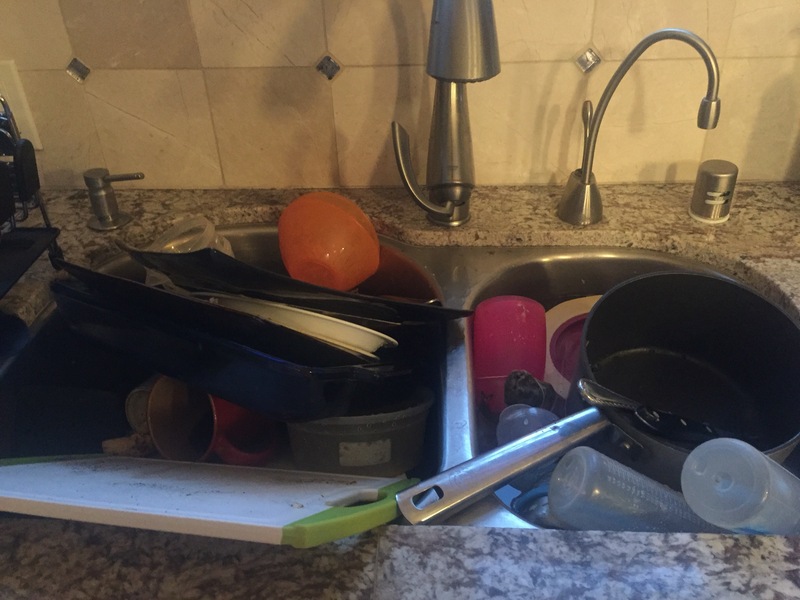 I wasn’t going to write today, I was just about to do the dishes I ignored all day yesterday. I want to get the kitchen clean before the family wakes up. But as I begin to put away the pots and pans I notice the color on the bottom of the pans. I felt a warmth and ease all over my whole body. The pans are beautifully used, the pan drawer is carefully contained, cherished. As much as I complain about cleaning mess after mess, these pans scream love. They are a mirror to my soul. These pans are used to nourish myself and my family. Their worn presense and reliable functionality overcome all my complaints over dirty dishes and frustrations in the kitchen. These pans represent life, a life lived, fed, a messy life, my only life. Cherish.